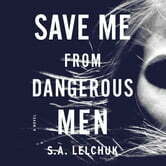 S.A. Lelchuk’s Save Me From Dangerous Men marks the beginning of a gripping new series and the launch of a fabulous new character. Nikki Griffin is a kickass character who listeners will root for as she seeks to right the world's wrongs. Nikki Griffin isn't your typical private investigator. 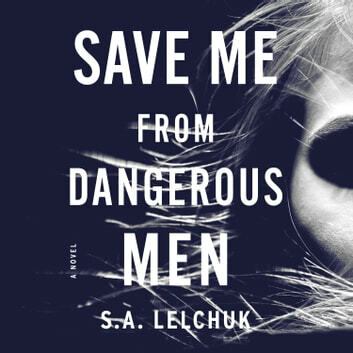 In her office above her bookstore’s shelves and stacks, where she luxuriates in books and the comfort they provide, she also tracks certain men. Dangerous men. Men who have hurt the women they claim to love. And Nikki likes to teach those men a lesson, to teach them what it feels like to be hurt and helpless, so she can be sure that their victims are safe from them forever. When a regular PI job tailing Karen, a tech company's disgruntled employee who might be selling secrets, turns ugly and Karen's life is threatened, Nikki has to break cover and intervene. Karen tells Nikki that there are people after her. Dangerous men. She says she'll tell Nikki what's really going on. But then something goes wrong, and suddenly Nikki is no longer just solving a case—she's trying hard to stay alive.